As if it were a Burofax, send relevant information by any means, with acknowledgment of receipt and inexpensively. Keep content and delivery date integrity, because Logalty takes part as trusted third party. Probative force and full legal validity. 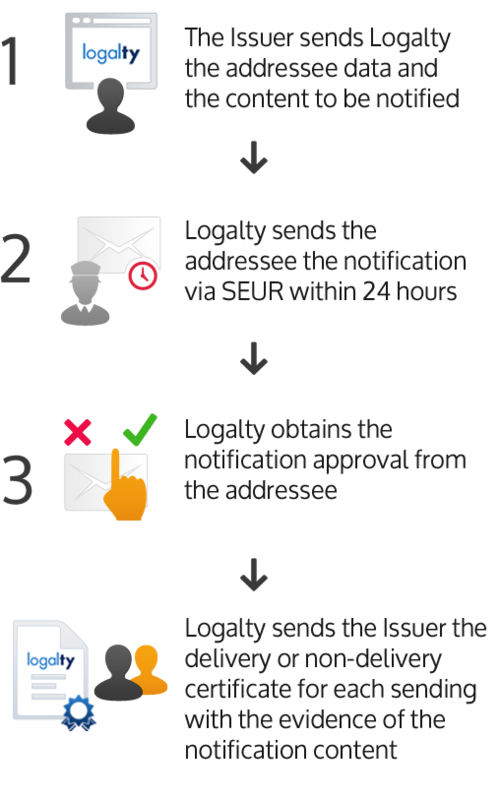 Logalty’s Electronic Certified Notification means an important step forward regarding relevant document sending. Guarantee the delivery with probative force only with the e-mail, mobile phone and ID Number* of the addressee. Logalty Burofax. Postal notification with acknowledgment of receipt. And everything is always done through the same platform for all our services. 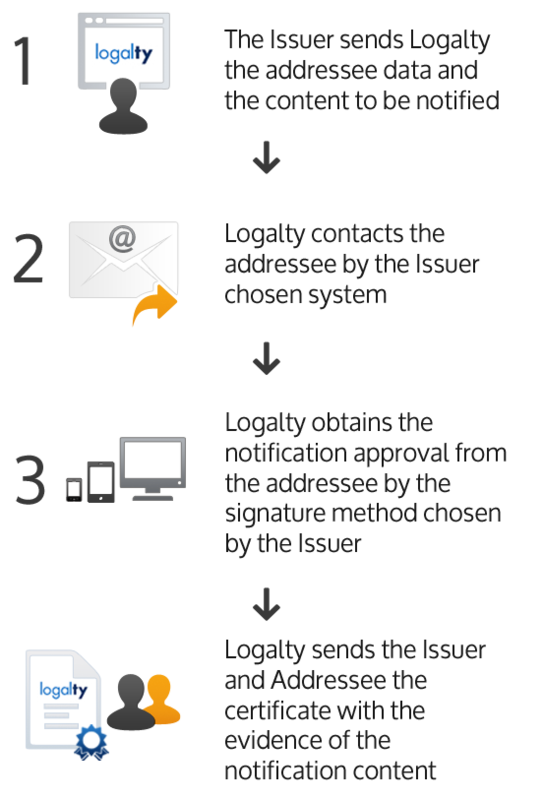 When your sending by e-mail does not require an acknowledgment receipt and only needs to prove the provision of a document to your addressee, Logalty certified communication service can provide you with an easier and more efficient document sending solution, because it only requires the e-mail address of your addressee. Create evidence of your sending provision to third parties, thanks to the time stamp, the content integrity certification with notarial deposit and the custody from a minimum time of 5 years that Logalty includes without additional costs. Logalty multichannel solution allows companies, by only one platform, to send electronic and postal notifications. Our platform is easy to integrate in customized systems, business management systems or others by Web Services. With Logalty, you can integrate all our services at work and stop worrying about the sending of relevant documents, with evidence guarantee provided by Logalty. Our team can ease the transition to the telematic notification, thanks to our service proposal, which you can integrate your processes and electronic document automated management with in your company. Get competitive improvements and simplify the process management with Logalty electronic notification integrated system. Let us call you and tell you how.